Stuffing It... In a Healthy Way! Bring the water, 1/4 teaspoon of salt, and 1/8 teaspoon of the pepper to a boil in a small saucepan. Add the couscous, cover, and remove from the heat. Let stand 5 minutes, then fluff with a fork. Meanwhile, cut a thin slice from the top of each tomato and reserve (I accidentally threw it out when I prepared it!). With a spoon, carefully scoop out the seeds and pulp, leaving a tomato shell. Reserve the pulp for a soup or sauce. Heat the oil in a large nonstick skillet over high heat. Add the succhini, onion, bell pepper, and basil; cook, stirring frequently, until crisp-tender, about 5 minutes. Add the beans and tomato sauce; cook until slightly thickened, about 2 minutes. Remove from the heat and stir in the couscous, cheese, and remaining salt & pepper. Spooon about 3/4 cup of the filling into each tomato shell and cover with the reserved tomato tops. * I baked these stuffed tomatoes in a 350 degree oven for 20-25 minutes to roast them as well. This can be made in advance and frozen too! Joelen I've seen this WW recipe before but never made them - so glad you did, I totally take your word for it and now can't wait to make these!! FYI I went back on WW and have been posting a lot of the recipes I've been making at my blog if you're looking for some new ones to try. That looks so good! I wish my H liked fish, but if I put it in front of him he wouldn't eat it. The tomatoes look so good, definately on my must try list. Those tomatoes look so delicious! thanks for sharing the recipe... I'm always looking for WW recipes that I can make and heat up for lunch. Comfy and healthy? Sounds like a winner to me! 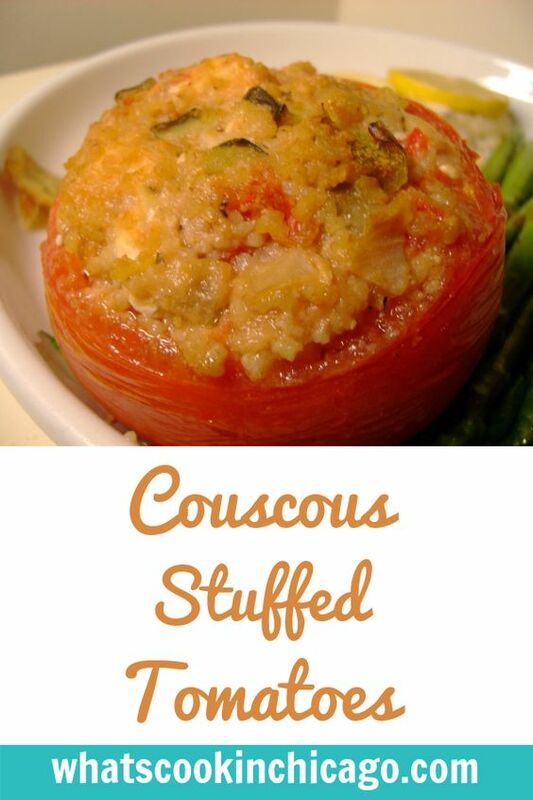 I've never had a stuffed tomato before, but this looks delish and a great side dish. I love couscous. Those look so good...and I love that they are healthy!